Only 40% of engineering graduates got placements after passing out of college! He said the government has set up a target of making at least 60 per cent of engineering graduates in the country employable in the next 5 years. During the Question Hour, members expressed concerns about the quality of education in engineering and teachers training colleges. According to a latest study of the All India Council for Technical Education (AICTE), only 40 per cent of the engineering students are employable, HRD minister told the House. The government plans to improve this figure from 40 to 60 per cent in 5 years, he said, adding that a plan was being put in place to introduce summer internships for at least 75 per cent of the engineering students to make them "industry ready", he said. To replace the obsolete syllabi, the AICTE would put up model curriculum on its website which it would also keep updating regularly. Speaking about B Ed colleges, he said there were a large number of complaints about the quality of education, following which the HRD ministry has asked them to submit affidavits about the number of teachers, salaries, infrastructure etc. ​About 6,300 institutions have given the feedback which were being analysed, while hundreds of those colleges which have not submitted the required details will get notices asking why action should not be taken against them, the HRD minister said. According to the details provided by the minister, the number of approved engineering colleges in the country in 2016-17 was 8,409, their approved intake was 31.72 lakh students and there were 6.47 lakh teachers. In 2015-16, there were 8,552 approved colleges with an approved intake of 33.23 lakh, while the actual enrolment was 16.62 lakh. In the current year, there were 122 technical institutions which have been permitted to be closed, the minister said in his reply. NCP leader raised the issue of a huge number of seats in engineering colleges lying vacant, to which HRD minister said it was a "legacy issue" as people who were willing to invest were liberally given permissions to start an engineering college. Improvement in quality is the solution, he said. Don't wait for better quality, Study engineering degree and diploma courses in qualitative and well know universities from abroad at affordable cost . Plan your engineering study abroad! France launched a technology visa on Thursday which aims to attract international talent, with newly-elected President Emmanuel Macron talking about the need to strip out regulation to become a "country of unicorns". Speaking at the Viva Tech conference in Paris, France, Macron outlined how his government would slash complex regulation, make it easier for foreign talent to work, and support start-ups with money, in order to create world-leading companies. The visa is open to startup founders, employees and investors and is a fast-track procedure to obtain a residence permit in France known as the "Talent Passport". It's valid for four years and extended to immediate family members. "I want France to attract new entrepreneurs, new researchers, and be the nation for innovation and startups," Macron told CNBC on the sidelines of the event, prior to the announcement. ​Macron said that French talent often leaves the country because the environment is not attractive enough. The key is training and keeping talent in the country. "The bet of the future for us is to carry on educating our talents, taking our students to the highest levels of academic success. We must defend our educational model, we must help our students go further," Macron said. Another proposal put forward by Macron was a European Venture Fund that can support start-ups as they grow. And he spoke about the need for the Digital Single Market – a European Commission policy that aims to harmonize rules from streaming services to roaming charges. 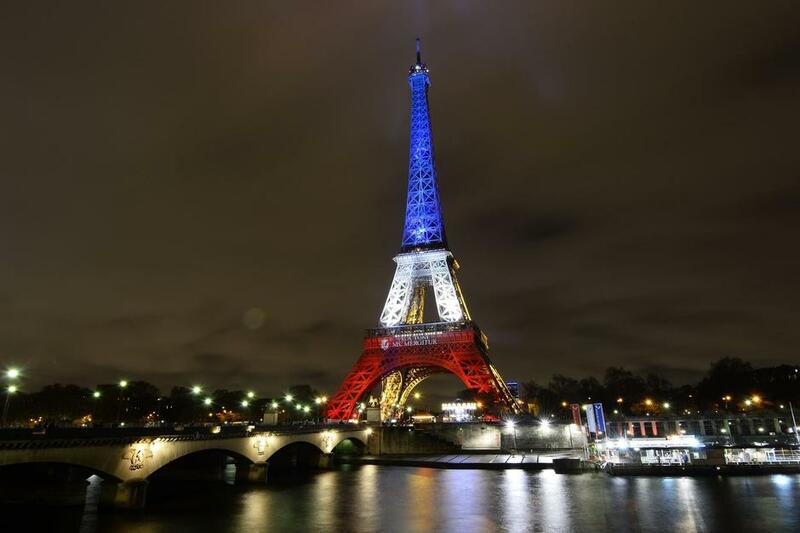 Venture capital investment in France hit $1.6 billion in 2016, a steady level from the $1.7 billion the year before. It still lags the likes of Germany and the U.K. but has seen a lot of investors jump into the market. It also boasts its fair share of unicorns such as long-distance ride sharing company BlaBlaCar. "Entrepreneur is the new France." Learn more about study options in France. Trinity College, Dublin is the oldest colleges in Ireland having been established in 1592. For undergraduate students, Trinity offers 400 undergraduate courses with flexible subject combinations Arts and Humanities, Sciences, Engineering and Health Sciences. While there is enough charisma attached to the top universities in England, students often miss out on higher studies opportunities in Ireland because of the limited knowledge available. Trinity College, Dublin is the oldest colleges in Ireland having been established in 1592. Trinity College is the only constituent college of University of Dublin, and hence both are synonymous with each other. Trinity college has some illustrious names associated as alumni including four Nobel laureates in various fields. The University ranked 88 in QS World Ranking, which is way ahead of the IITs which managed to make its way to the top 500 universities. 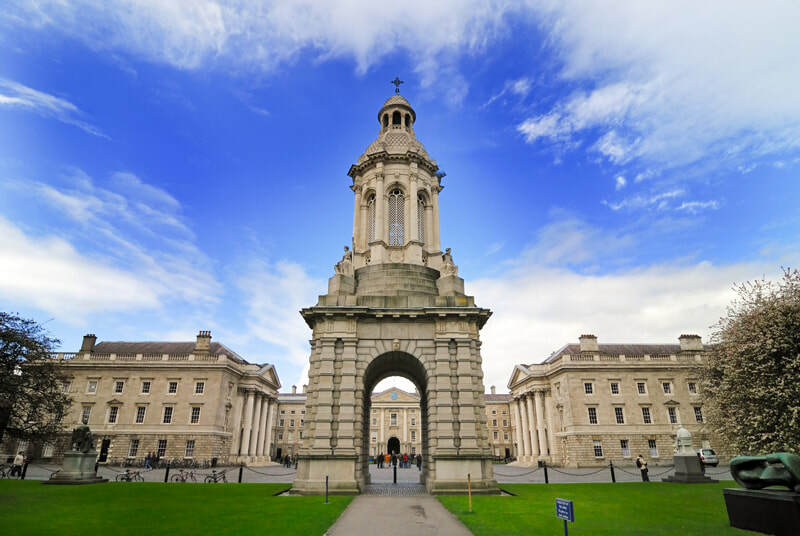 For undergraduate students, Trinity offers 400 under graduate courses with flexible subject combinations Arts and Humanities, Sciences, Engineering and Health Sciences. Advanced Entry is the option for students who have some work experience or any other qualification which is acceptable at the University for admission to an advanced stage of the programme. Rolling decision option is when a student is admitted in a larger admission window than the usual schedule. For admission to an undergraduate programme at Trinity College, an applicant should have completed class 12th from preferably CBSE or CISCE. Applicant should have minimum 80-85% marks in class 12th in six subjects. If the students had opted for only five subjects in class 12th then for sixth subject marks scored in class 10th would be taken into account. Applicant must have studied one language other than English, and Mathematics up to class 10th. In case of specific subject requirement in case of a particular programme, applicant must have 75% minimum marks in that particular subject in class 12th. Pearson Test of English, Academic (PTE Academic): a minimum score of 63 with no section score below 59. Why Indian students prefer MBA abroad? 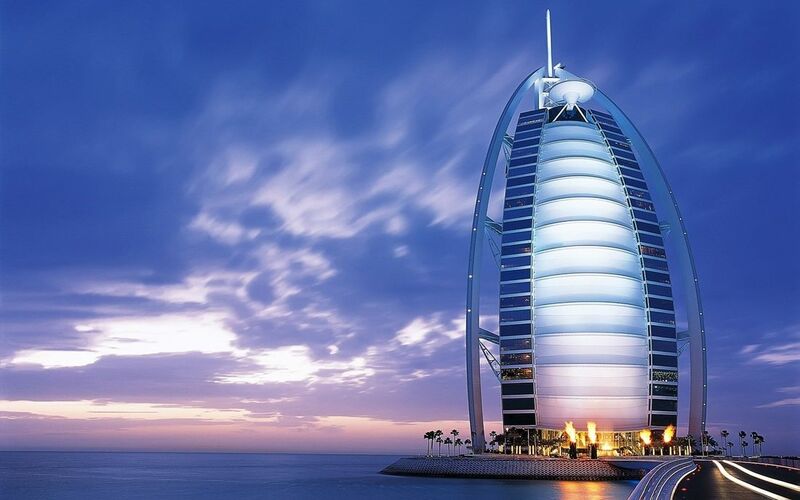 International university students have shown interest to study in Dubai after learning they can hold paid part-time jobs in, Dubai campuses by international universities. Their comments came on the sidelines of the 29th Gulf Education and Training Exhibition (Getex), running until Saturday at Dubai World Trade Centre. Last October, it was announced that university students in Dubai could legally hold paid part-time jobs in thousands of companies in nine Dubai free zone clusters. Dubai campuses of international universities participating at Getex told Gulf News that they have received greater interest from overseas students because of the new regulation. New regulation announced by Dubai Creative Clusters Authority (DCCA) in 2016 grants part-time work permit to some 25,000 students mostly enrolled at around two dozen academic institutions licensed by DCCA, primarily located in Dubai International Academic City (DIAC) and Dubai Knowledge Park. This is in addition to government universities. The new regulation is being implemented with the support of the Knowledge and Human Development Authority (KHDA). It enables 4,500 businesses in the emirate’s nine creative clusters, such as Dubai Internet City, Dubai Media City, and Dubai Studio City, to offer part-time employment to university students. The clusters include also include Dubai Knowledge Park, Dubai International Academic City, Dubai Production City, Dubai Science Park and Dubai Design District. Students must be in good academic standing and, generally, in their second year of university. A central clearing system, like an online marketplace, will connect employers with student workers, after checks of eligibility. Students right to pay will be guaranteed. Work hours will be limited to prevent impact on studies. Abroad Study: Many Indians choose to study medicine in Russia thanks to the high level of education combined with affordable fees. RIR(Russia India Report) spoke with a few students and graduates and found out how they manage to learn Russian, and what awaits them when they return to India. Study Abroad : MBBS in Russia! ​Canadian graduate schools responded quickly to offer their support to researchers and grad students impacted by U.S. President Donald Trump’s travel ban. Their schools offered to extend application deadlines, provide workspaces and grant visiting researcher status to stranded students and academics. These and other actions signified a deep commitment to the tenets of diversity, inclusivity and the global citizenry that underpin graduate education. But there is more at play here. This commitment stems from an understanding that diverse perspectives, global insight, and intercultural awareness add value to and enrich the learning experience for all students and, ultimately, to research outcomes. A substantial number of international students undertake graduate studies in Canada. They come here from across the globe to study, learn, conduct research and become a part of their communities. The most recent Statistics Canada data (PDF) indicate that over 30 percent of Canada’s doctoral students are non-Canadian. Not surprisingly, universities invest considerable resources to aid international students with the transition by delivering English (and French) as a second language course and offering, to all graduate students, various support services, workshops, and training to promote academic, professional and personal success. Attracting international talent into their Ph.D. programs forms global connections and aligns with many universities’ international strategies. In a global knowledge economy, it’s imperative that they invest in training highly qualified individuals regardless of their country of origin. Indeed, upon completing a Ph.D. degree, more than half of international graduates indicate that they intend to become Canadians and contribute to our highly skilled workforce, according to a 2015 survey (PDF) by the Canadian Bureau for International Education. Those who return to their home countries often maintain their connections to Canada, becoming ambassadors for Canadian higher education. According to data from the U15 group of universities, Canada’s research-intensive institutions provide financial packages to Ph.D. students, domestic and international, averaging $27,000 annually for four years to support their education. Moreover, graduate schools and international offices are committed to forming agreements with foreign governments and agencies that provide scholarships to Ph.D. degree-seeking international students studying in Canada (tuition plus living expenses for up to four years) to increase the total amount of funding available for all students. These practices contribute to making Canada a higher-education destination of choice. Top universities in canada for studies. AbroadStudy: This article brings attention to argue the fact that the brokerage of student enrolments by foreign universities creates a student enrolment gray market that misleads and misinform. Arguably, the pursuit of a foreign degree and the pleasure of walking into an education counselor’s office should be kept separate in the same way as church and state. And here, we couldn’t disagree more. Higher education is a costly affair, and most importantly the student’s future depends on it. There are bigger costs when it comes to seeking admission to a university overseas. Many would agree, the costs towards a Masters degree program in India is generally about 30 – 40 per cent lower than the ‘preferred destinations’ abroad. Now the most obvious question arises – Why? Because unlike in India, getting admitted to a foreign university is often facilitated by a ‘consultant’, earning them a high mark up simply for filling a seat in an institution of higher learning abroad, increasing the tuition costs – sometimes up to 40 per cent higher. One of the things that matter most to us is that people should be themselves. No one should feel obliged to adopt a particular process or put on a status quo issue. So here is our suggestion: if you want to seek a foreign university program and are hell bent on it, do a due diligence check on the student counsellor you meet next. Arm yourself with the knowledge that often the most ‘preferred’ universities are not necessarily the ones that suit your needs rather they could be the ones that offer a greater profit margin to the counselor. Know that the tuition fees you pay to the foreign university, a percentage of these come back to the counselor that has helped you seek an admission! Have you ever been to one of those all-day exhibitions where in you can simply walk-in and meet a foreign university official, and walk out with a ‘Letter of Admission’ Exhibitions hosted by their Indian representatives usually held in fancy hotels? Be very careful of marketing gimmicks that offer on the spot admissions. ‘On the Spot’ admissions offer a conditional admission. ‘Conditions applied’ is a marketing gimmick that offers no immediate value to the student. Instead, it is an offer made without a promise. Foreign universities often engage in enrolment drives overseas visiting many countries to source student enrolments and offer on-the-spot admissions. It is an offer made when the offer actually does not exist. Well known and state funded universities do not have to go out and seek students for enrollment, only the lesser known ones do. There are of course some interesting variations to how student enrolments happen – and it seems to us that on the whole, it is just an exhaustive affair. But there’s a deep routed effect to these practices – students often end up paying admission fees to multiple foreign universities in the hope of getting a confirmed seat and consequently are recipients of multiple (I-20) immigration documents, allowing them to switch to a different college on arrival. God forbid if the university turns out to be a fraudulent one! This year IUBH is once again at the forefront: According to the current CHE University Ranking, it can claim to be Germany’s best private university of applied sciences – with the best rankings per category on average. The CHE University Ranking, in which IUBH participated in the field of business administration, is the most comprehensive and detailed ranking of German higher education institutions. The ranking results are based on facts as well as the assessments of 150,000 students and 9,000 professors. 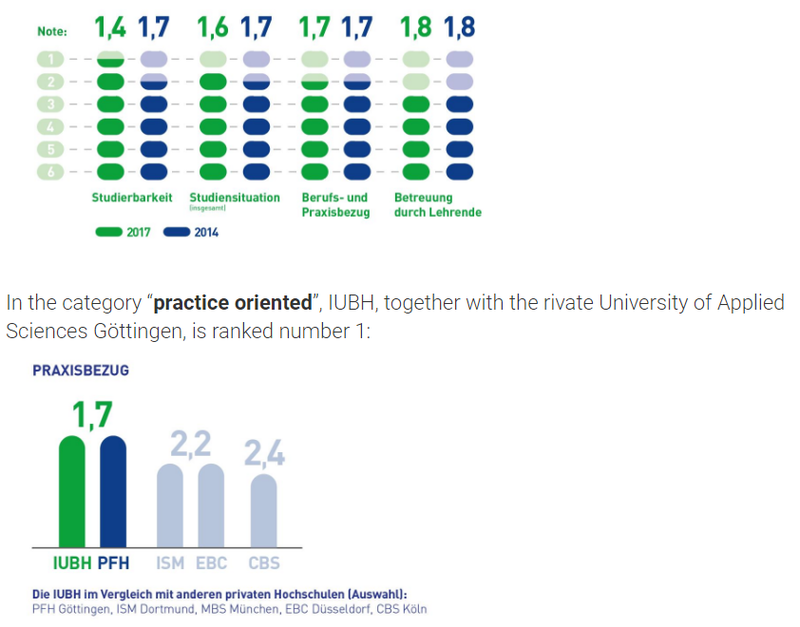 The ranking gave top scores to the School of Business and Management for its English-language degree programmes and systematic preparation for the international labour market: In the category “international orientation”, IUBH was given 10 out of 11 possible points and is thereby right out front among all German private universities of applied science. ​In the category “academic feasibility”, respondents gave a grade of 1.4 and in the category “overall study conditions” a grade of 1.6. With these results, IUBH topped their already very good results from the last CHE assessment (in each case the last grade was 1.7). Our students were also very satisfied with “support from professors” (grade 1.8) and “career and practice oriented” (grade 1.7). 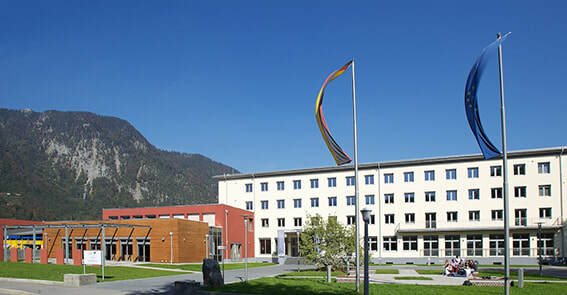 ​The IUBH School of Business and Management is a state-recognized, private university. At its locations in Bad Honnef, Bad Reichenhall and Berlin, it offers internationally oriented and accredited courses in the field of service management. The spectrum includes Bachelor programs in Aviation Management, Event Management, International Management, Hotel Management, Tourism Management and Marketing Management. Our range of Master programs includes the course International Management with different focus, Transport & Logistics Management and the MBA in International Business. ​Russia may not be the first country that comes up when thoughts turn to international studies. But the truth is that this oft-underestimated, increasingly innovative country boast a long list of amazing offerings for students from all over the globe. Wondering what’s waiting for you there? Let’s count down reasons to include Russia on your list of prospective international study destinations. 1. It’s home to a breadth and depth of prestigious universities. As the world’s largest country, it’s hardly surprising that Russia is home to so many universities -- 950 of them, to be exact. What may come as a surprise? 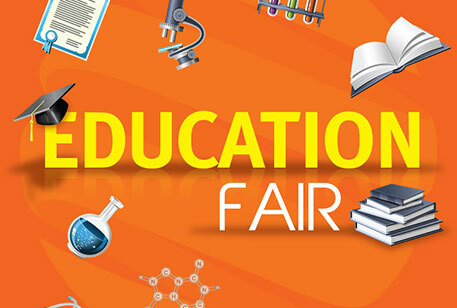 How many of its higher education institutions offer world-class, globally-recognized educational opportunities. Russia now participates in the Bologna Process, and many of its premier universities are members of the European Universities Association. A whopping 22 Russian universities, meanwhile, earned spots on the QS World University Rankings 2016-2017. Russia recently earned a plum spot on Bloomberg’s roundup of the world’s most innovative economies, but its innovative spirit is not limited to the financial sector. A Russian education uniquely fuses traditional academic rigors with a commitment to innovation in the form of competency-based education across a breadth and depth of areas of study. And while we’d be lying if we didn’t say that studying in Russia was demanding, a degree from a Russian institution is highly prized by the world’s employers -- making it well worth the effort. 2. You can get a top-notch education for much less than you’d find elsewhere. According to data provided by Study in Russia, the maximum cost of tuition at the country’s most elite universities tops out at 344,000 roubles annually -- that’s $6,100 a year. Meanwhile, full-time bachelor’s degree programs start at just 63,000 roubles a year -- or $1,100. ​Lastly, university academic competitions also offer financial incentives to academic superstars. And while Moscow may be expensive compared to other parts of Russia, the cost of living there is still significantly lower than it would be in spendier spots, such as the UK. 3. Innovation and research are alive, well and heavily prioritized in Russia. 4. You can learn an in-demand language. Planning on a career in science or technology, meanwhile? Russian is also increasingly important in these fields -- following only English in terms of number of academic publications in fields like mathematics, geology, physics, chemistry, and biology. 5. It’s an amazing place to live. While your own host university will surely have plenty of activities to keep you busy, traveling throughout offers an amplified experience. Not only is Russia home to multiple climate zones, it also lays claim to 26 UNESCO World Heritage sites, including Red Square, the Kremlin, the Golden Mountains of Altai, Lake Baikal, the Holy Trinity Monastery of St. Sergius, and many amazing others. Many Russian universities even organize student trips to these landmarks. While the US, the UK and Australia have collectively earned a reputation as the “big three” of international study destinations, Russia’s promise is monumental in its own right. Wondering where to start when it comes to finding the perfect Russian university for your international study experience? Check out Aliff Overseas Consultants comprehensive list of universities, colleges and programs in Russia. Looking to Study Maters Abroad ? Ensure Your Profile Is Ready Prior To Applications. A good profile is a pre-requisite to cracking any top global university. Along with academics and test scores, a holistic profile is very important to receive an admit. Gaining admission in universities abroad is becoming increasingly competitive. With thousands of applications pouring in against only a few hundred seats, students need to create a profile that stands out and immediately makes the Admission Committee take notice. While it is imperative to work towards creating a strong and unique profile to secure admission into a prestigious university, students are often confused and unsure of how to create a glowing profile. 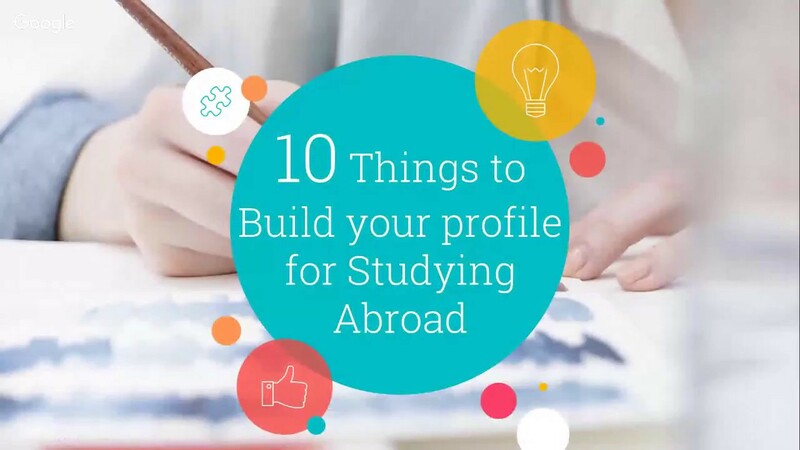 Here are a few pointers that will help to build an excellent profile for abroad studies and make a difference. The process of building your profile is not an overnight process. It takes time. You must start with it in the 2nd year of your graduation. Yes, that early! But it is never too late, if you are reading this article you can start off right after completing this article. Keep your academics strong. Average universities accept GPA of 7.5+ and not less than that. Maintain this GPA through the academic sessions. A backlog or year gap can sometimes hamper your section process so try not getting any of these. A university will always choose someone with GRE 305, IELTS 6.5, Academic 8 rather than GRE 310, IELTS 7 and Academics 7.5. So watch out future MS aspirants, academics does count a lot in the profile. You must decide the course of your interest, the one you want to opt for MS. This may not seem important at first sight but it is very crucial. If you know the course you want to apply, you can channel your efforts in the direction of creating a profile that matches the requirement of the course. During graduation, we undertake minor and major projects. Choose these projects wisely. You should choose something related to the course you want to apply. If you can to apply for Mechatronics, a project which comprises a combination of mechanics, IT, electronics will definitely add weight to the profile rather than a non-relevant area. You can also apply for a live industrial project. This allows you to score an extra point while reviewing the application. Utilize the internet and search for projects in industries. In the era of technology when the world is just a click far from you via the internet, finding a requisite thing will not take much time. Participation in various competitions as well as maintaining a hobby can benefit you a lot. This projects a positive image. The reviewer considers you an all rounder. You are not only academically strong but also active in other happenings of the institutions. You can mention participation in paper and poster presentation competition or gained accolade in it; a post of responsibility you undertook like the president of your branch forum; writer of your college magazine; etc. in your profile. Your Statement of Purpose (SOP) gives you the opportunity to display your passion and interest for the intended specialization and gives you an opportunity to explain the lacunae in your academic credentials. Your focus has to be on clearly explaining the purpose you are applying for a particular specialization. It should also contain a brief introduction of yourself and your academic background. You must also mention your short-term and long-term goals in one paragraph. These goals have to be as specific as possible. Describe your academic or any professional background that is relevant to your purpose. You should also give details about what motivated you to pursue further studies and have you chosen the university you are applying to. Refer to your strengths in the USP list that you have made and think of people who can vouch for your strengths like a good academic record, motivation, creativity, communication skills, integrity, etc. You must take help of your professors to write impressive letters of recommendation as they qualify to truly assess your performance and vouch for your academic credentials. However, if you have any work experience ranging to a year or more, then get at least one reference from your workplace. During your graduation, you must go for a summer internship. But again this internship must be relevant to your course; other than that, the internship does not carry any importance. Internships help you to get a practical approach of theoretical knowledge you learn during classroom program. If the company you are currently working in has a very competitive and difficult recruiting process, it makes the Admission Committee view your profile in a positive light. Also working in a reputed company makes your profile stronger and makes the admission committee realize that you are an exceptional student with excellent skills and academic record to have bagged a prestigious job or internship at a reputed company. The universities are interested in looking for whether you are eligible for doing research or not. In MS you learn to do research so publication helps you to stand out among a number of students. Two or three publication to your relevant study will prove passion as well as commitment towards the course. You do not want to come across as a uni-dimensional person with only academic or professional interest. Universities believe in taking students who have a holistic and well-rounded personality. If you are a sport enthusiast or have joined any social cause or started a small entrepreneurial venture, you must highlight these in your profile. Pre-departure guidance and assistance in terms of private accommodation recommendations in select countries.